?? ?Rampage through a destroyed world and create the ultimate team of beasts!?? World Beast War is an idle RPG where your monsters are created, merged, evolved and sent to battle in a war to reclaim the Earth. Merge monsters to build the ultimate rampaging team! Beasts rage and battle across the screen, including classic monsters like King Kong, Godzilla and more! Tap your beast to send it into battle or drag it onto another to combine them into a new, unique monster. Collect monsters and their lost articles to upgrade your beasts and defeat stronger foes. Idle RPG mechanics let your beasts battle and level up even when you’re away, and auto-battle features allow you to manage the team while the monsters fight. 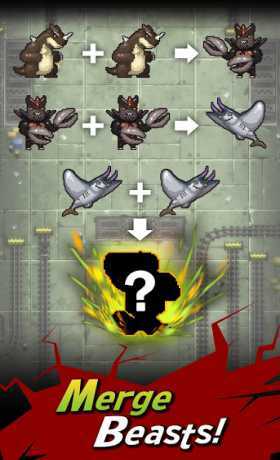 Merge monsters to create powerful beasts, then merge those to create the ultimate monster! Pixel graphics create a retro gaming atmosphere with all new gameplay and clicker game mechanics. Beast battles and apocalyptic action await in World Beast War! Download now! ?Monster Game – Beasts Battle!? – Collect monsters, including rare mutant beasts with special powers! ?Idle RPG with Monster Merge Mechanics? – Destroy the city with your beasts – you choose the formation, they do the smashing! – Merge dragons, krakens, robots & raccoons – has science gone too far?! ?Beastly Buffs – Powerups & Upgrades!? Power up your beasts with diabolical inventions, epic equipment and rare relics! – Wreak havoc to find more! ?Monster Simulator – Be the Beast!? Beasts from film and game history unite with unique creatures of carnage! ?Destroy the World, City by City!? 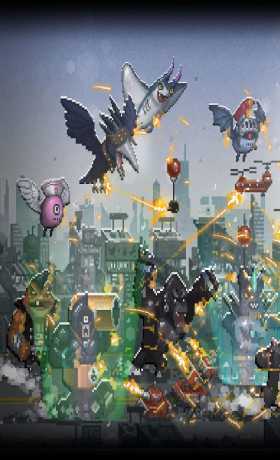 – Pulverize 8-bit cities across different landscapes into pixel powder! 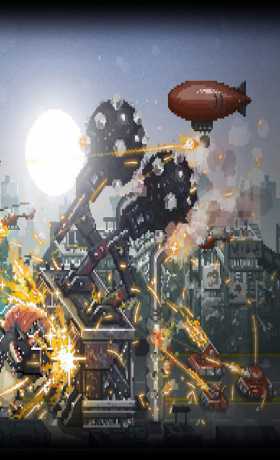 – Beat em up with your Monster team and take back the Earth! Battle monsters, collect beasts and upgrade your team in an idle game of epic proportions. Download World Beast War today!